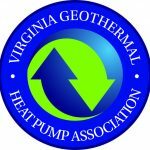 Richmond, Virginia, 2017-Jan-19 — /EPR ENERGY NEWS/ — Two Bills introduced into the Virginia General assembly last week raise the hopes of many. Hundreds of Virginians will lose their jobs over the coming months due to inaction on the federal level. Virginia HB 1891 and SB 1392 seek to remedy the situation. For years geothermal heat pumps, solar panels and wind turbines were treated as a triad and equally endorsed and supported by the government’s 2009 American Recovery and Reinvestment Act. When the Tax Credit was extended in late 2015 for solar and wind it left out Geothermal. Nancy Pelosi and other leaders immediately stated it was a drafting error that would be corrected ASAP. That never happened and we are left wondering, why? Candidates for VA governor in 2017 Republican Senator Frank Wagner (7th district) and Republican Delegate Timothy Hugo (40th district) introduced bills last week to remedy this situation. Whether current state budget deficits keep them from being successful remains to be seen.